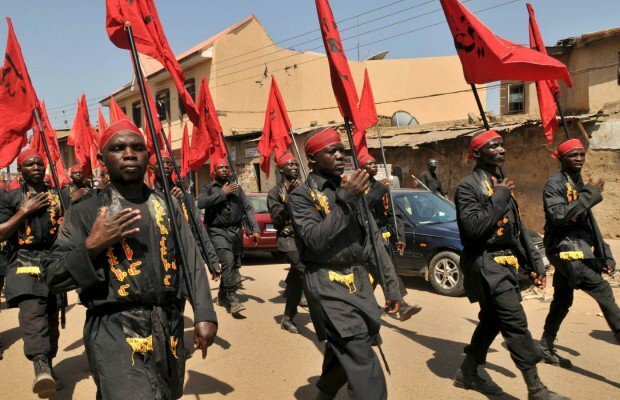 The Islamic Movement of Nigeria, IMN on Monday alleged that Nigerian security agencies have commissioned their men and paid agents to massively infiltrate its Arbaeen procession scheduled to hold in Abuja in the coming days to induce violence with a view to smearing the movement in the eyes of the world. A statement from Ibrahim Musa, president of IMNâ€™s media forum, said, â€œIt has become expedient to make urgent clarification that the Islamic Movement in Nigeria has never employed the use of violence in its entire period of existence. This is not about to change. â€œThe security forces appear to be bent on carrying out series of acts of violent attacks during the Arbaeen occasion in Abuja and subsequently attribute same to the members of the Movement in order to achieve what they have so far failed to do, which is associate the Movement with definite acts of violence. By this their plot, they seek to swing public opinion against the Movement. â€œThey have specifically chosen this period to conclusively achieve these devilish aims. We are aware of this two-faced scheming of the enemy to pretend they are part and parcel of the Arbaeen mourning procession, but in fact they mean evil. â€œTherefore, we wish to once again categorically reject any suggestion of any use of violence in our name. The Islamic Movement is not and will not be responsible for any breech of peace or violence that will result from any false-flag plots during the Arbaeen mourning period and beyond. We will continue to profess and practice our religious beliefs as it is, devoid of any violent tendency and would not be blackmailed into submission or surrender. â€œOur timely rallies, processions and other religious activities will continue as at when due and in our ways without fear of intimidation. â€œFinally, we therefore draw the attention of the public and the international community that whatever happens to negate the solemn principle of the Arbaeen religious mourning procession, the Nigerian authorities must be held responsible,â€ the statement read.